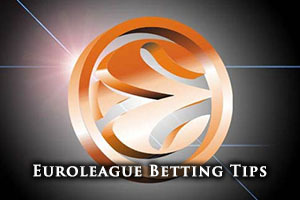 Spread Pick: Armani Milan with handicap +7.5 at 1.90 Over/Under: Under 158 1.90 Bet Now! When it comes to getting out of the group and into the Top 16, you don’t always need to look at the top of the group for excitement. In Group C, Barcelona are running away with it while Panathinaikos and Fenerbahce are neatly tucked in behind the Catalan giants. This means that three out of the four qualifying spots are pretty much in the bag but with the remaining three teams standing with a 2-5, 1-6 and 1-6 record, the last spot is very much up for grabs in the final three rounds. 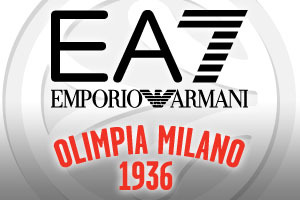 The big match in Group C in Round 8 takes place between EA7 Emporio Armani and Bayern Munich on Wednesday night. The home team are currently in fourth place, sitting with a 2-5 record and a win tonight would make them pretty confident about progressing from the group. The two teams have already clashed in the Euroleague this campaign with Milan grabbing an away win, defeating Bayern by 74-81. This game served up a total of 155 points. For Milan, Samardo Samuels has been in fine form this season, averaging 13.6 points per game while also offering 6.1 rebounds per game, Daniel Hackett has also been impressive for the Italian side, offering 11.4 points per game while providing 4.6 assists per game. In total, Milan have averaged 75 points a game in the Euroleague so far. Milan are doing better domestically, they currently hold a 6-2 record, but they do sit in fourth place in the Italian league. Bayern Munich know that they need to win tonight to realistically have hopes of going through and the fact that they have average score of 78.4 points per Euroleague game, a higher figure than Milan, may give them confidence. Nihad Dedovic has been in great form for the team this season, offering 11.7 points per game and 3.1 assists per game while John Bryant has also played his part, providing 11 points per game and 8.7 rebounds per game. While the German side have struggled in the Euroleague, they are strong domestically, sitting in 2nd place in their league and holding a 9-2 record. Remember you can watch the game live so if you are looking to enjoy EA7 Emporio Armani Milan v FC Bayern Munich, we will help you out. If you are looking to place a bet tonight, you will find that Bet365 is the place to be. Given the score the last time, going Under 158 at odds of 1.90 makes sense and given that Milan know they can all but book their place in the Top 16 tonight, taking the Italian side with a handicap of -6 at odds of 1.70 is likely to pay off. With the home crowd behind them, and a desire to make it through to the next stage, Milan should find an extra spring in their step. Bet Now!